Cityscapes from an incredible height! 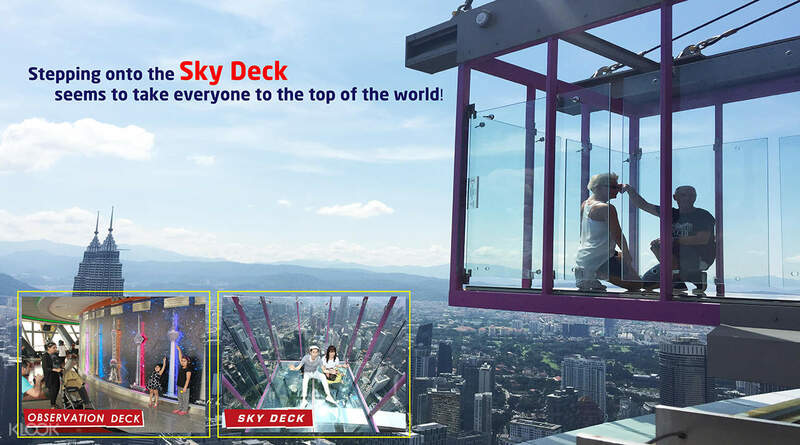 Step into the KL Tower Sky Box if you dare - a glass cube extending from the Sky Deck, at a dizzying 300 meters high - this is not for the faint hearted! Amazing stunning views from great height, Sky box simply superb, freaking foot steps on glass panel gave goosebumps. 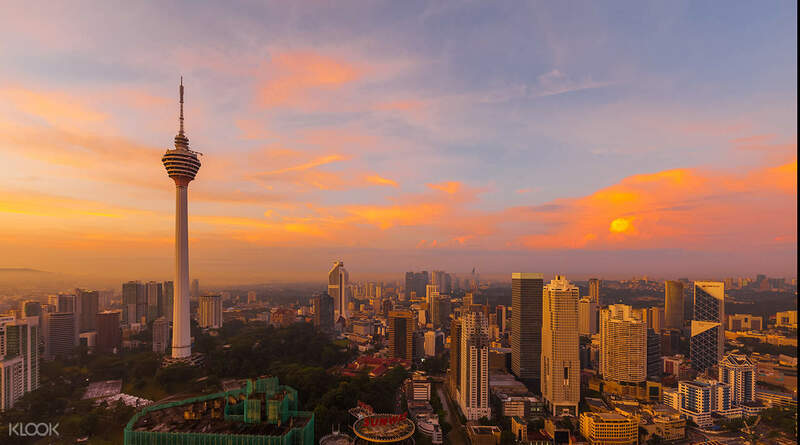 See Kuala Lumpur’s mesmerizing landscapes from up high as you head to the KL Tower Observation Deck, the 7th tallest freestanding tower in the world that rises 421 meters above ground level. Enjoy spectacular panoramic views of the city and its notorious skyscrapers. 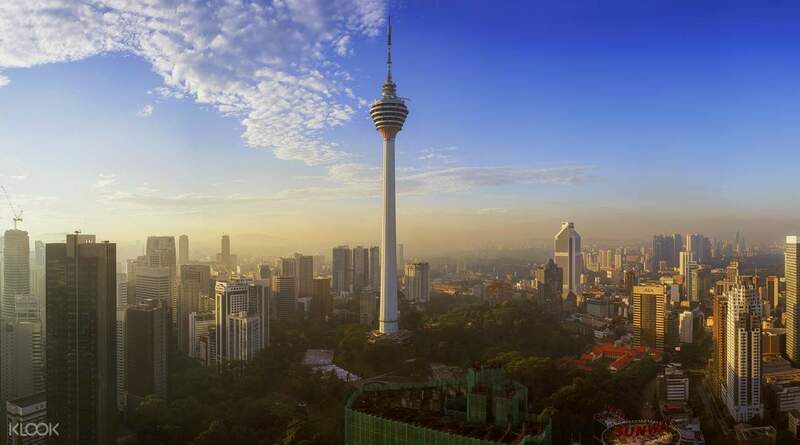 KL Tower’s Observation Deck offers unobstructed 360 degree views of Kuala Lumpur and is, without doubt, the best spot in town for taking great photos. Get your KL Tower tickets early and don’t waste any time in long lines. Head right to the the top of Malaysia’s famous skyscraper and watch the city unfold before your eyes. 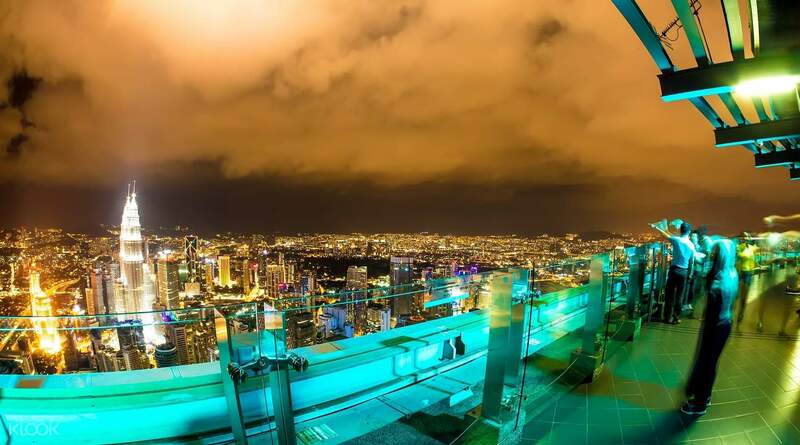 Choose from the indoor KL Tower Observation Deck, the outdoor KL Tower Sky Deck or, if you dare, the completely glass KL Tower Sky Box which extends on a ledge from the Sky Deck! As always KLOOK is hassle free. Just had to show the mobile voucher at the entrance and up we went to the skydeck. There are 2sky boxes jutting out. You need to collect free passes from the skydeck's entrance for entering the skyboxes. There are securities manning the boxes. Each person will get 1min50sec to be inside the box. As always KLOOK is hassle free. Just had to show the mobile voucher at the entrance and up we went to the skydeck. There are 2sky boxes jutting out. You need to collect free passes from the skydeck's entrance for entering the skyboxes. There are securities manning the boxes. Each person will get 1min50sec to be inside the box. Booking through Klook was really easy. Just showed voucher received in my mobile phone at the counter and gave us the tickets. The view from KL tower was really amazing. The glass box was really good experience. Booking through Klook was really easy. Just showed voucher received in my mobile phone at the counter and gave us the tickets. The view from KL tower was really amazing. The glass box was really good experience. T'was really a breath taking experience most especially the SkyBox. Skybox only limits 4 persons at a time. It's also timed so make use of it wisely. It's also holiday in Malaysia so going up and down the elevator took us long time. T'was really a breath taking experience most especially the SkyBox. Skybox only limits 4 persons at a time. It's also timed so make use of it wisely. It's also holiday in Malaysia so going up and down the elevator took us long time. It was indeed a very good experience of getting the tickets from Klook. I personally didn't face any problem in voucher redemption. Klook is a perfect match for Ease of Entry with discounted tickets. I will certainly use Klook again. It was indeed a very good experience of getting the tickets from Klook. I personally didn't face any problem in voucher redemption. Klook is a perfect match for Ease of Entry with discounted tickets. I will certainly use Klook again. Easy to book and redeem the activity on Klook. Got discount on klook. View from Skydeck is amazing. Skybox is also a unique experience. Went in the morning. Awesome view of Kuala Lumpur. Absolutely recommend this. Easy to book and redeem the activity on Klook. Got discount on klook. View from Skydeck is amazing. Skybox is also a unique experience. Went in the morning. Awesome view of Kuala Lumpur. Absolutely recommend this. The view from the top is amazing. Do buy the option with the sky box, otherwise it's not worth it. Better to go at 9am when they open since it will be less crowded and you won't have to spend a lot of time queueing to access the sky box. The view from the top is amazing. Do buy the option with the sky box, otherwise it's not worth it. Better to go at 9am when they open since it will be less crowded and you won't have to spend a lot of time queueing to access the sky box. Visited just in time for sunset and I got to enjoy both day and night views. It was such a good experience. I had no problem with my Klook booking. Front desk offered me to upgrade but was okay when I said I just want to go to the observation deck. Good experience! Visited just in time for sunset and I got to enjoy both day and night views. It was such a good experience. I had no problem with my Klook booking. Front desk offered me to upgrade but was okay when I said I just want to go to the observation deck. Good experience!